Onetime Possum Dixon lead guitarist Celso Chavez died last Wednesday at the age of 44 from complications due to pneumonia. As part of L.A.’s early ’90s alt-rock scene, the starting point for groups like Weezer and Eels, Chavez set his band apart by underplaying without wandering too far from his drummer’s backbeat. Playing melodic foil to the catchy choruses of frontman Rob Zabrecky, whom Chavez had met at junior college, he helped comprise a sound that got the band headlining gigs early on (sometimes featuring a then-unknown singer-guitarist named Beck), and a major label deal. By the time L.A.’s celebrated venue Spaceland opened in the Silver Lake neighborhood in 1995, the inaugural artists included Possum Dixon alongside Beck and Foo Fighters. The group remained a popular draw in Silver Lake until they split around the end of the ’90s. Outside of Possum Dixon, Chavez played crunchy, punk-influenced guitar with Trash Can School and drums with Black Angel’s Death Song. After Possum Dixon split, he formed a new lo-fi group called Pill Module. Chavez is survived by his son, Vincent, as well as his mother, father, grandparents, siblings, ex-wife, and extended family. 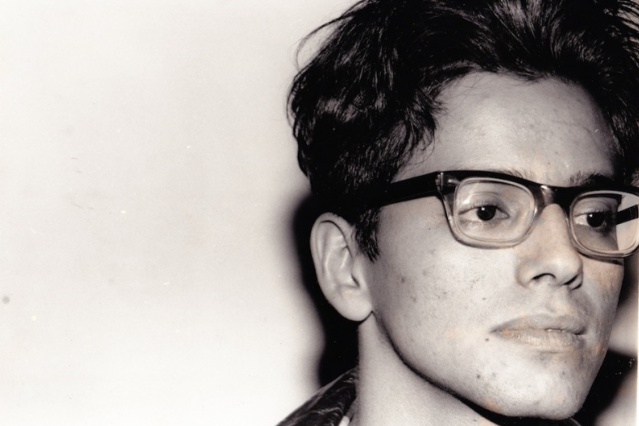 His ashes will be interred at the cemetery where one of his idols, Ritchie Valens, also rests. Chavez’s family has requested that anyone wishing to, can make a donation in tribute to him to MusiCares/MAP Fund, by clicking here.